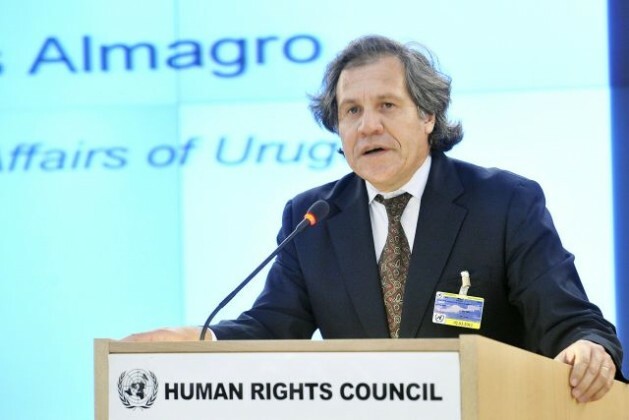 Luis Almagro is the Minister of Foreign Affairs of Uruguay and a candidate for the Post of Secretary General of the OAS. MONTEVIDEO, Jan 18 2015 (IPS) - Two decades after the first Summit of the Americas, a lot has changed in the continent and it has been for the good. Today, a renewed hemispheric dialogue without exclusions is possible. Back in the mid-1990s, at the time of the Miami summit, it was the time of imported consensus, models of economic and social development exclusively based on the market and its supposed perfect allocation of resources through the invisible hand. Today, all voices count, and if they do not, they will have to. The powerful club of the G8 turned into the G20; still, this is not enough to embrace the new reality of our hemisphere. Hidden under a development rationale, the greatest wave of privatisation and deregulation took over the continent. The role of the state was reduced to be a facilitator of a process based on the principle of survival of the fittest. Solidarity, equity and justice were all values from the past and poverty a necessary collateral damage. However, these values were in the top of the minds of the people of the hemisphere, who turned their backs to these policies and instead during the past 15 years, have forcefully supported the alternatives that combine economic growth with social inclusion, broadening opportunities for all citizens. Economic growth went hand in hand with social inclusion, adding millions to the middle class – which today accounts for 34 percent of Latin Americans – surpassing the number of poor for the first time in the history. If this was possible it was because governments added to the invisible hand of the market, the very visible hand of the state. And this took place within the context of the worst post war global financial crisis that led to an unprecedented recession in the United States and Europe, which the latter still strives to leave behind. Growth with social equity turned out to be the new regional consensus. Today, this binds the region together. Today, conditions are present to set up a more realistic cooperation in the Americas, where all members could partner in equal conditions, from the most powerful to the smallest islands in the Caribbean. Today, nobody holds the monopoly over what works or does not; neither can anybody impose models because the established truths have crashed against reality. While in the 1990s social exclusion in domestic policies and voice exclusion at the international level were two sides of the same token, this in not any longer acceptable. OPINION: Cuba and the United States – A New Era? To the existing bodies, the region has added in this past decade the dynamic UNASUR in South America and CELAC in the Americas, thus leaving the OAS as the only place for dialogue among all countries of the Americas, whether large, medium, small, powerful or vulnerable. But, governmental or inter-governmental actors by themselves are not the only answer to the problems of today´s world. Non-state actors of the non-governmental world, the private sector, trade unions and social organisations must be part of the process. Leaders need to interpret the time in order to generate an agenda for progress, but progress that is tangible for people, for citizens, to whom we are accountable to. Therefore, in a more uncertain international economic environment, we should focus on maintaining and expanding our social achievements and a new spirit of cooperation in the Americas can be instrumental for that. The Summit of the Americas in Panama, in April 2015, may be the beginning of this new process of confidence building, where all countries can feel they can benefit from a cooperative agenda. This will be a historical moment because this time there will be no exclusions. The recent good news on the diplomatic front related to the normalisation of diplomatic ties between the U.S. and Cuba and the participation of Cuba in the Summit represent an additional positive signal. Panama deserves the support of the entire region before and during the Summit. This will be a great opportunity to strengthen democratic values, the defence of human rights, institutional transparency and individual freedoms together with a practical agenda for cooperation for shared prosperity in the Americas.